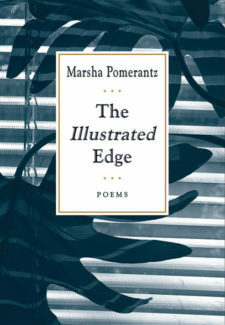 Marsha Pomerantz grew up in New York, lived in Israel for twenty years, and now lives in Boston. Her poems and prose have been published in journals in the US, UK, and Israel, and she has translated poetry, short fiction, and a novel from the Hebrew. Her writing has been supported by two residencies at the MacDowell Colony and by a Massachusetts Cultural Council finalist grant, and she has twice been a finalist for the Poetry Society of America’s Robert H. Winner Award. She is managing editor at the Harvard Art Museums.